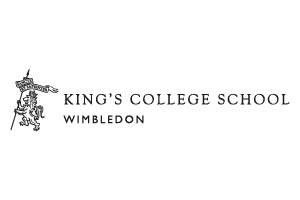 King’s College School Wimbledon is seen as one of the highest academically performing schools in the UK historically to date and was the top performing school in the Sunday Times Schools Guide 2018 in the London Independent Secondary School of the year category. The school is located on Southside, Wimbledon Common, on a 24-acre (97,000 m2) site, with the main building being the Grade 2 listed 19th century Great Hall. The school has 20 science laboratories and a demonstration laboratory, alongside the 1st XV pitch. The buildings include the Q-block (based around the Quadrangle), College Court, South Hayes, the Cavan Taylor Wing, the new classroom block, the Reeve School of Art & Design, and the Sports Hall, as well as the Junior School, which has its own buildings, and Rushmere house. Nviro started working with King’s in August 2017 after a tender process in which Nviro were chosen as the preferred supplier. Originally a night shift was introduced between 10pm and 5am, Monday to Friday but this was seen to be too long and an unproductive shift for the operations team at King’s College. As a result of this a restructure took place and instead a cleaning shift was introduced between the hours of 7pm and 11pm as well as the appointment of a Dedicated Cleaning Manager to the school which has allowed for the smooth progression of this system and the running of this contract. Throughout the campuses at King’s, Nviro has installed i-mops and i-vacs as part of the i-team solution. The introduction of these pieces of equipment has allowed for the daily routine cleaning in large open space areas as well as corridors and classrooms. The introduction of the i-mop has allowed for Nviro to eliminate the conventional bucket and mop system that the Janitor would usually carry around. Due to the washing, scrubbing and suction system that is in place with the i-mop, the area is left dry instantly which means no wet floor signs are needed and no risks of building users having a fall due to the surface being wet. This machine is used throughout the school and due to the versatile nature of the Sprayborg, the operations team are able to gain the best results not only on carpets but on hard floors allowing for a planned preventative periodical regime to be put in place by Nviro. Another benefit of implementing the Sprayborg into King’s College is that due to the sophistication of this machine it is able to isolate and remove stains from carpet using microfibre pads instead of the conventional pads the Sprayborg comes with which allows for the areas to be dry 30 minutes after they have been cleaned. The motor scrubber is mainly used with the daily cleaning poolside as well as on the inside of the swimming pool. Due to this piece of machinery being cordless, compact and lightweight it is the ideal equipment to be used in this area. This is used throughout King’s College in areas like corridors as well as big open plan areas such as the school’s large halls. Due to this introduction, this has allowed for an increase in productivity as well as the high standards that the school desires. Nviro and King’s College work together with a range of additional events that take place at the school that involve extra cleaning tasks to take place such as making sure the environments are thriving for when King’s College hire out their facilities for weddings, also ensuring that the environments poolside is in pristine condition and safe to access for the school’s frequent Swimming Galas as well as keeping the facilities in top condition for when King’s College hold red carpet events. King’s College also play host to one of the biggest events of the year, The Boat Race which has former King’s College (Old King’s – OK) students participating in. As part of the event, King’s College host an event at the school’s boathouse in Putney so that visitors can watch from a location that is close to the start of the race. This requires Nviro to make sure the boat house area is in prestige condition with a thorough deep clean before the event takes place. Rhys Tomlin, Site Manager at King’s College had some positive feedback for one of our members of staff. “I wanted to write to you to put on record, what an outstanding job Owen has done for both Nviro and the school. In what was a difficult time for us both, Owen showed a professional can do attitude, from which we are now seeing the benefits.